And so we have reached the Christmas and New Year break, with good-will on offer to one and all. For many of us, this is a time to get away from work – to spend quality time with our family and friends, and to take a breather from the every-day grind of the nine-’til-five. Perhaps some of us will be indulging a little more than usual by way of food, drink and merry-making. This is, however, not the case for many of those involved in Sport including the athletes themselves and their numerous support staff. In fact, this is often one of the busiest times of the year for those involved in Professional sport, and the fixture calendar can be particularly crowded as the National sporting bodies and Leagues cram in the fixtures, perhaps in order to secure large crowds of seasonal fans and lucrative television rights. Some sports participants enjoy a break at this time of year, whilst others are perhaps not so fortunate. For example, in the German Football Bundersliga, teams enjoy a four-week period during which the players can take a breather. It is true to say that some teams decide to fly overseas to train and compete in non-league tournaments during this period in order to maintain their in-season fitness, and some players also fly off to take part in National tournaments on other continents, but some teams certainly allow their players time off to spend with their friends and families citing the importance of rest and recouperation for both physical and psychological recovery. 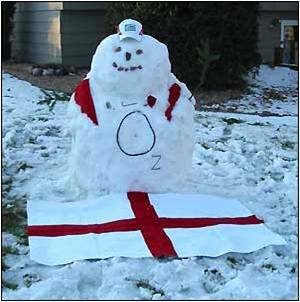 There have been almost annual calls for a winter break for teams in the English Football League for the last few decades, with some managers and players stating that the demands of the football season, together with matches played during the summer period in competitions such as the World Cup and the European Championships, effectively mean that some players have very little time in which to recover and that this leads to adverse physical and psychological consequences for those players together with negative effects on the performance of National teams playing in the summer period and club sides. Requests for winter breaks in football in the UK have been increasing over the last few seasons, and regional officials and organisations have tended to put the blame for the players’ busy schedules firmly at the door of FIFA and UEFA. The latest calls for time off during the Christmas and New Year period here in the UK come from former England Manager Sven Goran-Eriksson, the new Sunderland Manager, Martin O’Neill, League One Football Manager Gus Poyet at Brighton, and Wolverhampton Wanderers midfielder Stephen Hunt. However, others are not in agreement with this strategy including Arsenal’s German defender Per Mertesacker who seems to prefer playing in the UK whilst his German footballing colleagues are enjoying some time off back in Germany at this time. There is a paucity of evidence on which to make these arguments, however. Looking in greater detail at just one of these arguments, injury prevention, the evidence to support this has been somewhat conflicting. Although I could find nothing in the literature on the effect of a winter break on injury incidence, one might wish to extrapolate from research looking at the incidence of injuries occurring at different times of the season. In a study published in the British Journal of Sports Medicine in 1998 on the effect of seasonal change in rugby league on the incidence of injury, an increased incidence of injury in summer was demonstrated, and in another prospective study published in the American Journal of Sport Medicine of injury incidence amongst players of one rugby league club over a nine season period, injury risk was found to have greatly increased as a result of changing the playing calendar from the winter months to the spring and summer period. A study published in 2007 in the British Journal of Sports Medicine on the association of ground hardness with injuries in rugby union showed a seasonal change in ground hardness and an early season bias of injuries. Orchard discussed the relationship between ground and climactic conditions and injuries in different codes of football, including soccer, rugby league rugby union, American football, Australian football and Gaelic football in 2002, and found an early-season bias for injuries to the lower limb. He concluded that variations in playing characteristics were likely to account for the patterns seen. Should we be offering our players and teams a mid-winter break, and if so, on the basis of which argument(s)? In the meantime, all of us at CJSM would like to wish our blog readers a very happy Christmas and New Year, and we devote this blog post to all those who are working with teams over the Christmas and New Year period.